Professor Marcus Haward considers “boundary work” as fundamental to ensuring good science is not lost in translation. As a political scientist for over three decades, he knows communication between scientists and governments is paramount. “Science is a fundamentally important basis for good decision-making,” he said. “Part of the problem, of course, is that good science by itself doesn’t guarantee good decision-making and that’s because science operates traditionally in its own environment and own activity and decision-makers operate in their own areas and own environments. Dr Haward specialises in oceans and Antarctic governance and marine resources management at the Institute for Marine and Antarctic Studies (IMAS). His research interests have helped to manage the marine estate for both resource use and environmental conservation. “I’m not suggesting scientists need to change anything other than doing good science but we need to focus on what we call boundary work,” he said. “This is how we span the boundaries between good science and good management, and that includes new techniques and approaches, new skillsets so that the scientists know how to communicate to policy makers and policy makers also know what questions to ask. “I think it’s important for us to understand how we manage our marine environment and its resources because marine environments cover 70% of the earth’s surface,” he said. “The Southern Ocean covers 10% of the world’s surface. “Australia’s marine jurisdiction is twice the area of its land mass, so we are dealing with huge areas of responsibility and stewardship. Dr Haward’s work has covered a range of activities from coastal management and deep-sea fishing resources to international arrangements and treaties. “My work focuses on the strategic elements of research,” he said. “That is how research findings can be used to assist government and industry in making better decisions. “The last couple of decades I’ve had a long-standing interest in the southern bluefin fishery, a very valuable and very significant industry for Australia, but also one that’s incredibly vulnerable in terms of managing its recovery from over-exploitation in the 1950s and 1960s. Dr Haward said his research has traditionally looked at formal regulatory models. In particular, how governments and international organisations create rules and frameworks for managing marine activities. “Over the last 20-odd years, there’s been an increasing development of non-government organisations that have taken an interest in reviewing and assessing companies’ and governments’ activities in terms of fisheries management and aquaculture management,” he said. “I think the big challenge now is to see how these various non-government activities support and enhance the role of both business on one hand and governments on the other to ensure that consumers of seafood have sustainable and safe marine products. 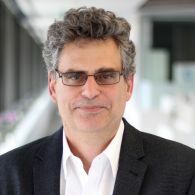 Professor Marcus Haward is a political scientist specialising in oceans and Antarctic governance and marine resources management at the Institute for Marine and Antarctic Studies (IMAS), University of Tasmania. He has over 140 research publications, and his books include Oceans Governance in the Twenty-first Century: Managing the Blue Planet (with Joanna Vince) Edward Elgar 2008; Global Commodity Governance: State Responses to Sustainable Forest and Fisheries Certification (with Fred Gale) Palgrave Macmillan, 2011; and Australia and the Antarctic Treaty System, (co-editor with Tom Griffiths) UNSW Press 2011.He is currently working on oceans and Antarctic governance, knowledge systems in coastal management, marine biodiversity conservation in a changing climate and Australia's regional fisheries interests. Professor Haward is currently editor of the Australian Journal of Maritime and Oceans Affairs published by Taylor & Francis. Professor Haward is currently working on governance related to the implementation of the ecosystems approach to fisheries management, knowledge systems in coastal management, and marine biodiversity conservation in a changing climate. He has contributed to a number of edited collections from Edward Elgar, Martinus Nijhoff, Cambridge University Press and Routledge. Marcus is editor of the Australian Journal of Maritime and Oceans Affairs published by Taylor and Francis/Routledge. This project aims to analyse current and emerging geopolitical tensions within Antarctic Treaty System.Geopolitical tension was a key factor in formation of the 1959 Antarctic Treaty and continues to shape evolution ofthe wider Antarctic Treaty System. The project proposes to examine critical moments in the history of the AntarcticTreaty System, using a new database of historic diplomatic documents to identify key indicators of geopoliticaltension. The project aims to draw lessons on successful management of these geopolitical tensions. In doing so,the project's intent is to address a key focus of the Australian Government's Antarctic 20 Year Strategy and Action Plan, maintaining Australia's influence in Antarctica. This project will undertake review, analysis and reporting of underwater footage (provided by Australian Fisheries Management Authority, AFMA) of seal interactions with commercial trawl gear, including interactions with Seal Excluder Devices installed in nets. The Bush Collection is a private, historic collection of documents from Antarctic treaty negotiations, gathered overa thirty year period by Australian Department of Foreign Affairs lawyer, Mr William Bush. The Bush collectioncontains documents not otherwise available in secretariats and national archives and is important in the context ofdevelopment of the Antarctic Treaty. This project will make the collection publically available for researchers bycreating an online open access database that will provide a world class resource of primary data for Antarcticscholars. The database will facilitate a new era of research on historical and current issues in Antarcticgovernance within both Australian and oversees universities. The project is a scoping study with the aim of establishing a justifiable methodology to properly evaluate the contribution of this sector to the economy of Tasmania.